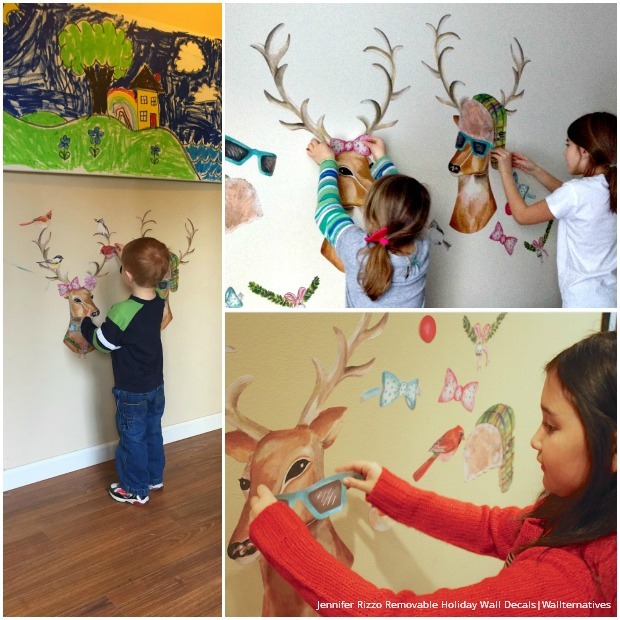 Boy Meets Girl Reindeer Removable Christmas Wall Decal Set includes adorable boy and girl reindeer that you and your kids can have fun accessorizing for the season. Just peel and stick little birds, sunglasses, hat, bowtie, Rudolph nose, and holly necklace onto the reindeers. When you want to change it up, simple peel and place to rearrange them at will. These happy kiddos look like they are having a blast dressing up their reindeers! 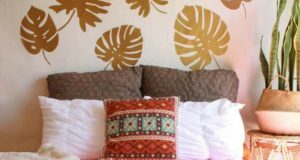 These removable wall decals are a fantastic Christmas decorating idea because it is so easy to stick them onto walls as well as remove them once the holiday is over. 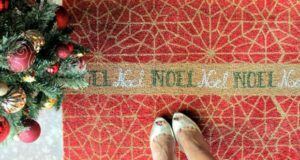 When replaced onto their backing sheet, they can be stored and reused year after year as a creative Christmas tradition. 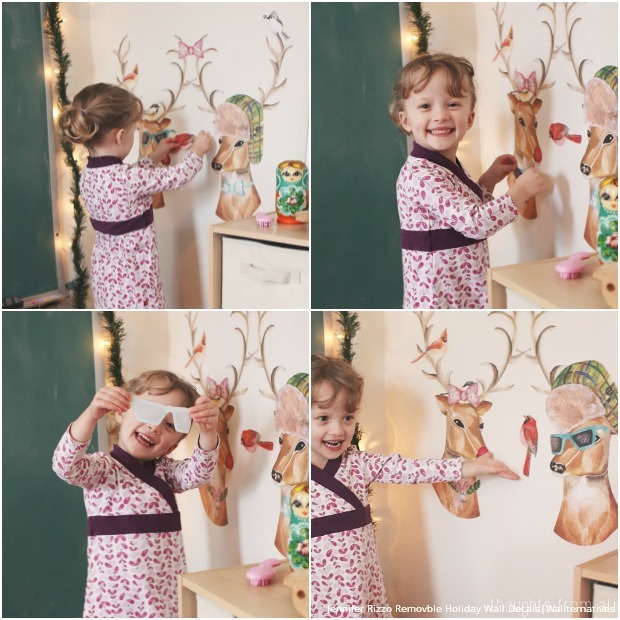 If you’d prefer only one reindeer to dress up, check out our individual Reindeer Dress Up Removable Christmas Wall Decal Set. Decorate and redecorate your Christmas tree year after year with our Tree Ornaments Removable Wall Decals. 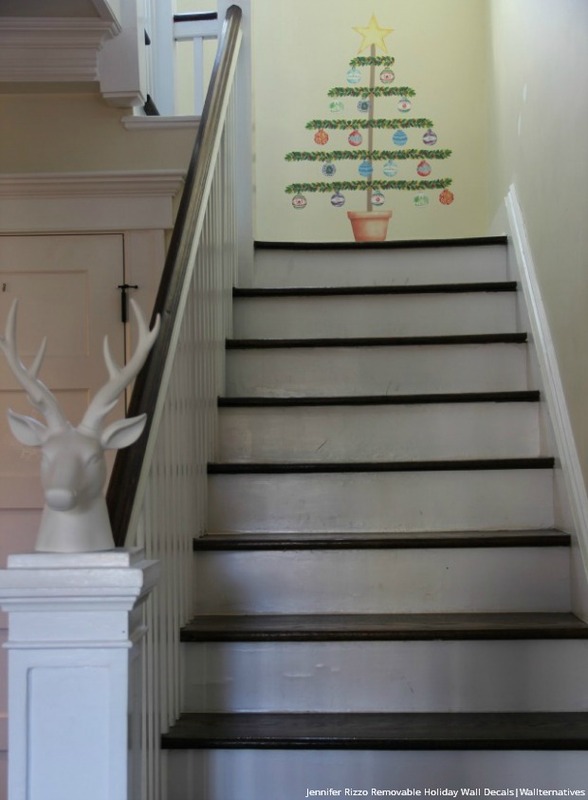 It’s great to place in areas where no real tree would be able to fit, like the top of your stairs or in your hallway. Deck your walls and peel and stick these fabric wall decals knowing that you can safely and easily remove and reuse them for next year! 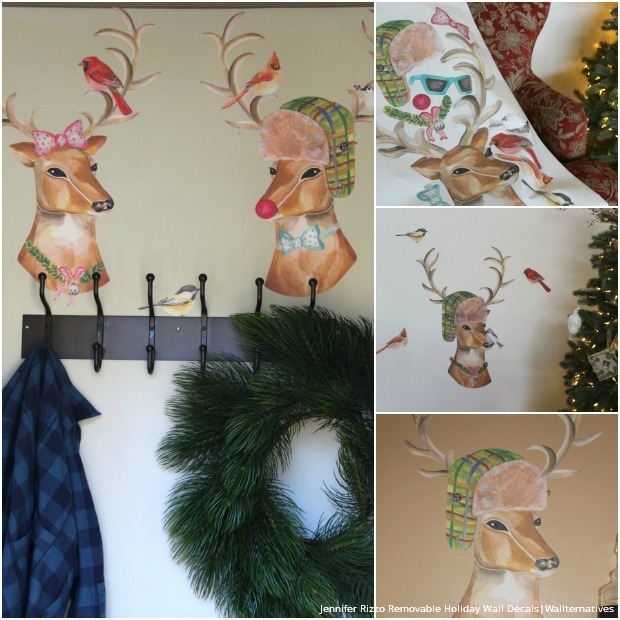 Fabric wall decals from Wallternatives are perfect for decorating your home for the holidays, as well as for any occasion. Of course, they can also make for unique and adorable gifts that can be easily removed and reused. The perfect gift that keeps on giving! We would love to see your creative ideas using Wallternatives wall decals, so please do share them with us on Facebook and projects@royaldesignstudio.com.